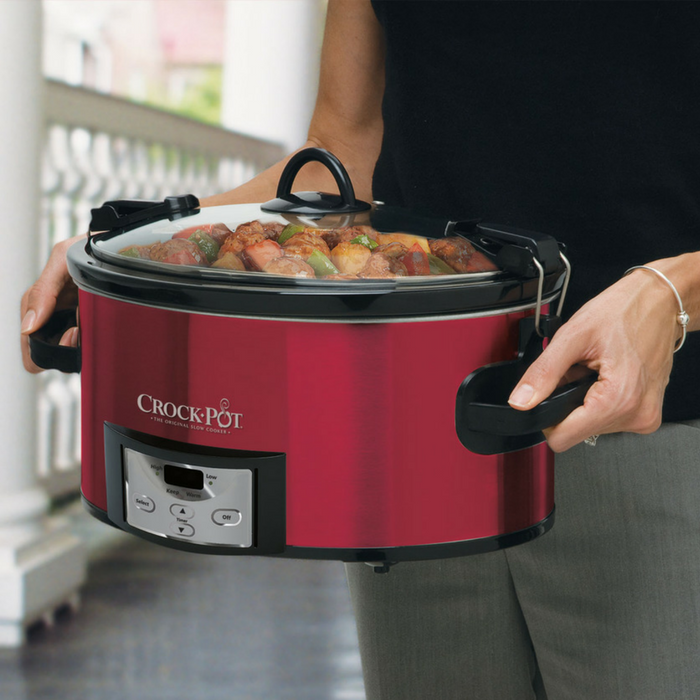 Crock-Pot Cook & Carry Slow Cooker Just $20.41! Down From $40! You are here: Home / Great Deals / Amazon Deals / Crock-Pot Cook & Carry Slow Cooker Just $20.41! Down From $40! This is a must-have for every kitchen! Crock-Pot Cook & Carry Slow Cooker is now on sale at Amazon for just $20.41 down from $39.99 PLUS FREE shipping with Amazon Prime or for orders over $25! The Crock-Pot Cook and Carry Slow Cooker keeps up with your busy, on-the-go lifestyle. Turn the dial to ‘High’ and get a hot meal, snack, appetizer or dip in no time. Set it on ‘Low’ and tonight’s dinner can cook while you’re at work. Or use the ‘Warm’ setting during a get together with friends so your dish stays ready to eat until the party is over. No matter the recipe or the occasion, your Crock-Pot Slow Cooker keeps the temperature steady so your food is cooked to perfection, full of flavor and delicious! Amazing!